We've chosen two fantastic examples of stunningly grand wedding venues - Four Seasons in Hampshire, and Oulton Hall in Yorkshire - perfect for the current (not-going-anywhere) trend of the Downton Abbey theme. Four Seasons Hotel is a beautiful Georgian manor house, seamlessly blending English country living with 21st century modernity. This 5-star gem is absolute luxury but offers various different wedding packages so not totally unaffordable! 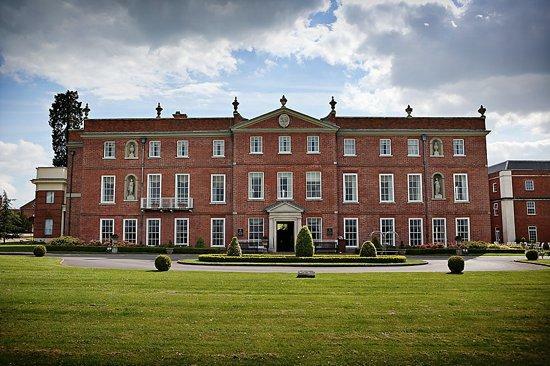 Heading up north, Oulton Hall is one of the De Vere hotels, with a sweeping driveway which is one of the grandest in Yorkshire. Again, it perfectly marries an old-world charm with swish modern interiors and only 20 minutes drive from Leeds city centre. So grab your Art Deco wedding gown, and your long-stemmed white lily bouquet and become Lady Mary for the day!